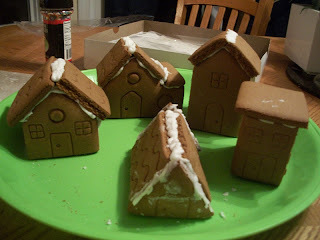 Remember when I posted our village that had been constructed but not decorated? Well they look a lot different now. Kara had a friend sleep over last night and she was able to spend the afternoon with us. 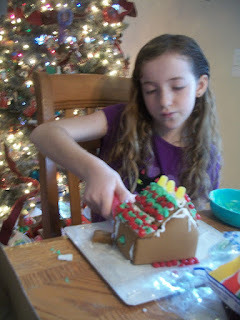 Since there were several buildings, each of the girls had their own to decorate. I piled all sorts of sugary goodies on the table. 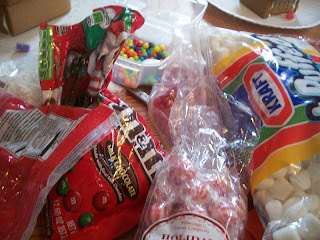 We used the small amount of candy that came in the kit, but added in peppermints, M & Ms, marshmellows, and red hots. We also "cheated" with a can of store bought frosting. 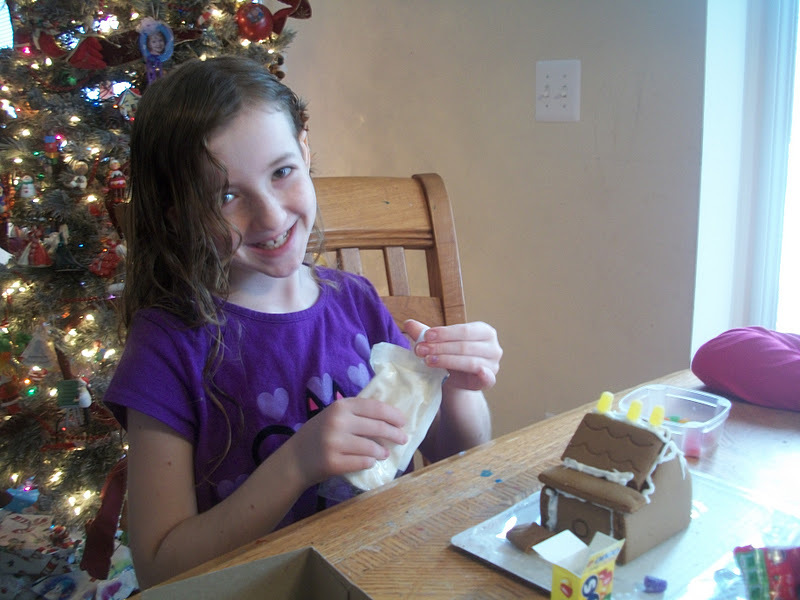 There was not enough left in the kit for all the white we wanted to add. 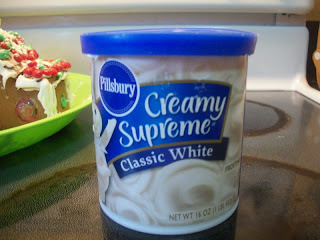 I remembered as we were working there was an open can in the fridge from when my teenager took opened a can to eat a spoonful the other night.. Grrr, at least it we were able to put it to good use. 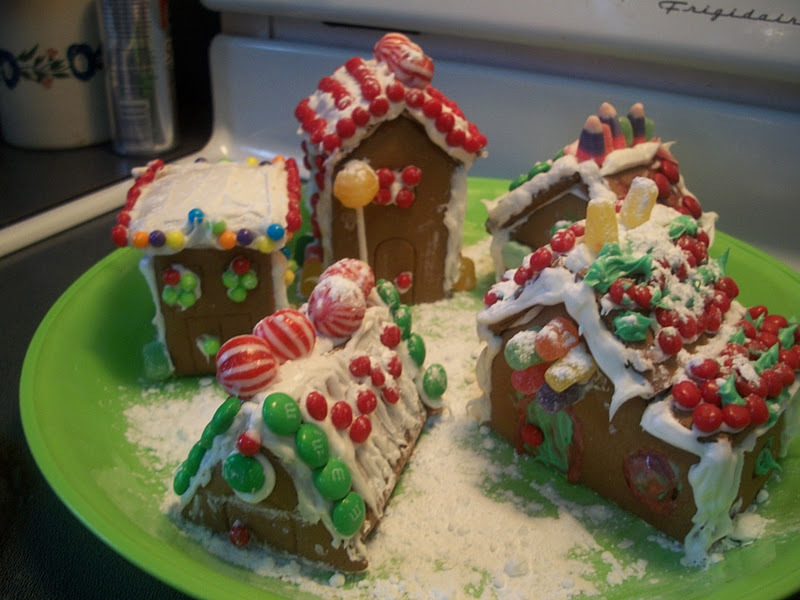 I placed spoonfuls of frosting in baggies and they worked great. Kara working hard on her house. Once decorated, the mini village was placed back on the platter and it "snowed" power sugar. Quite a colorful difference from the before pic!